PBR Is The 2019 PKC Tennessee State Champion! Congratulations to Hillbilly PBR and Rick Marshall for winning the 2019 PKC Tennessee State Championship last night in Lexington, Tennessee. 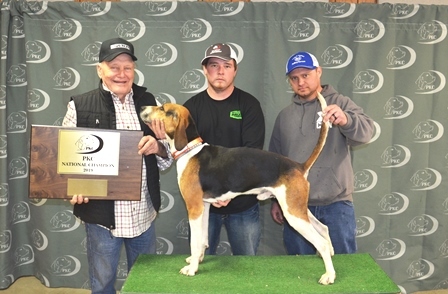 PBR is a 2016 model Treeing Walker male, owned by DSMM Kennels and handled by Rick Marshall. Read more: PBR Is The 2019 PKC Tennessee State Champion! Wipeout Jerry Is The 2019 PKC Kansas State Champion! Congratulations to Wipeout Jerry and Tom Anderson for winning the 2019 PKC Kansas State Championship last night in Osage City, Kansas. Jerry is a 2015 model Treeing Walker female, owned by Rick Rochester and handled by Tom Anderson. Read more: Wipeout Jerry Is The 2019 PKC Kansas State Champion! X Wins 2019 PKC National Championship! 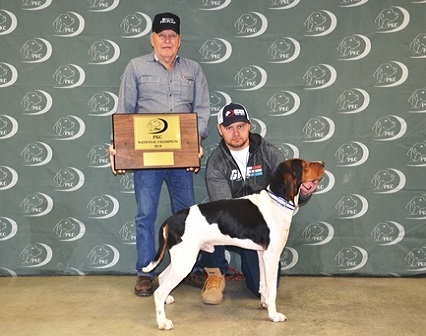 Congratulations to 2019 PKC National Champion, $20,000 Winner; PCH Insane X Con. X is a 2015 model Treeing Walker male, owned by Phillips/Daugherty of Henderson, Kentucky and handled by Jason Daugherty. 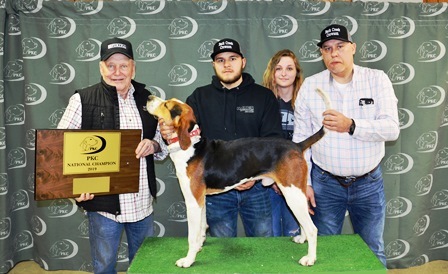 The 2019 PKC Reserve National Champion and $12,000 Winner is; GCH Power Trip. 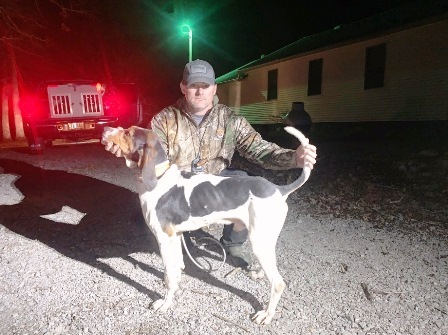 Trip is a 2016 model Treeing Walker male, owned by Kiddy/ Young of Adamsville, Tennessee and handled by Dustin L Weed. Third place and $6,000 Winner is; CH Buck Creek Crowson. Crowson is a 2016 model Treeing Walker male, owned by Chuck Dunlap of Frazeysburg, Ohio and handled by Coleton Dunlap. Copyright 2011 Prohound Home. Designed by Joomla 1.7 templates. All Rights Reserved.